Fascinating transitional console table from the late Gustavian period, Sweden circa 1820. 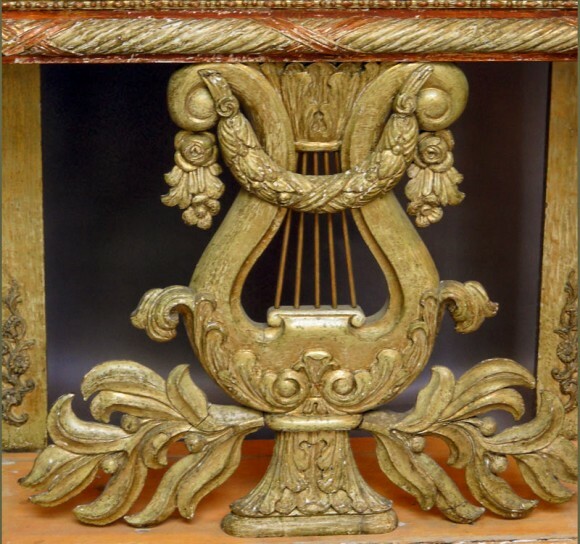 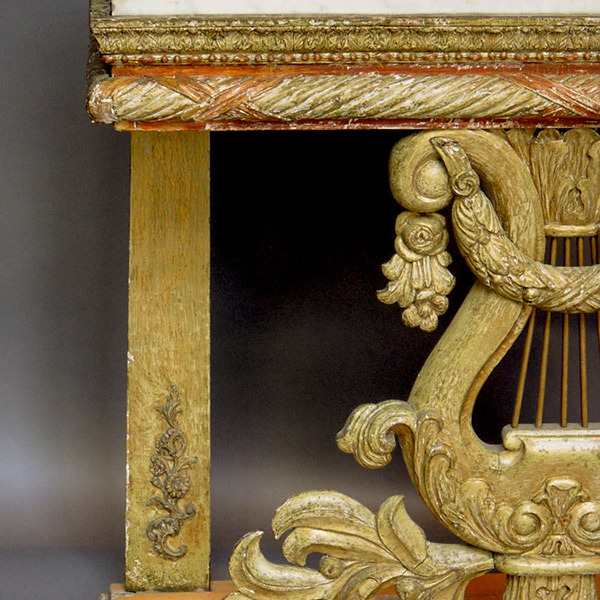 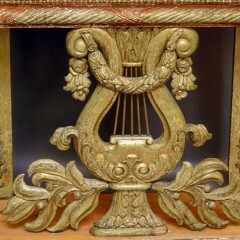 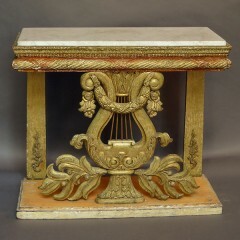 The lyre form and floral detail show the table’s Gustavian roots, but the fasces molding at the top and the laurel swag mark the advent of neoclassicism in Swedish style. 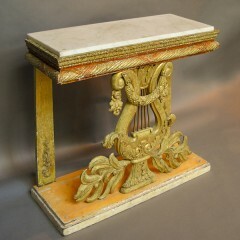 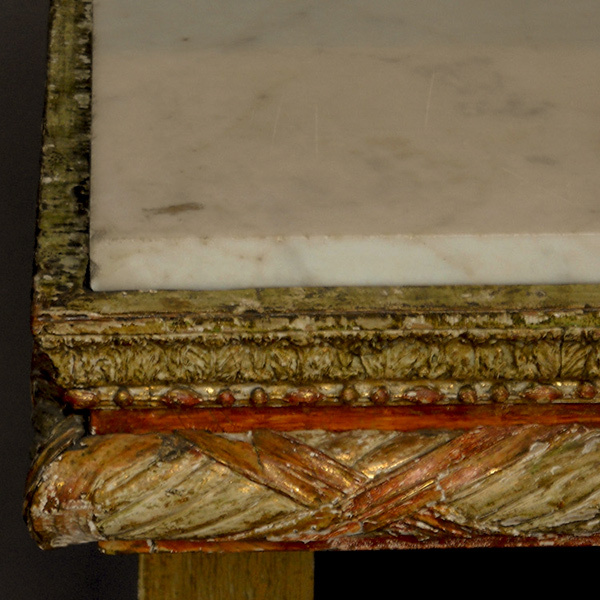 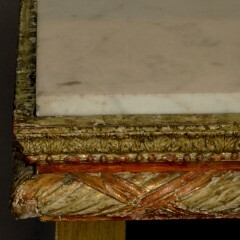 Original painted surface with white marble top.